First of all you have to find your Google Drive folder on your computer, as Google Drive adds a Drive folder to your system. This folder is located in C:\Users\username\Google Drive by default, so you should find it there. 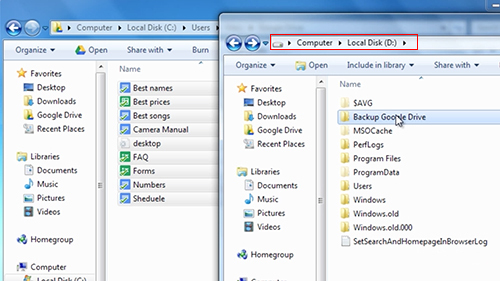 Once you have found the folder, you can backup all of its contents to another location or storage device. You can do so manually by simply selecting all files and folders (Ctrl-A while the Drive folder is active) and pasting them into a different location (Ctrl-V while the new destination folder is active). Drive by default, so you should find it there. If you have the intention of restoring the files at a later point in time to Google Drive, you will also need to backup the database information that you find under C:\Users\username\AppData\Local\Google\Drive so that they do not need to be downloaded to the system again. A second backup option for your Google Drive is to use a backup software. Open your browser and go to “www.aomeitech.com”. 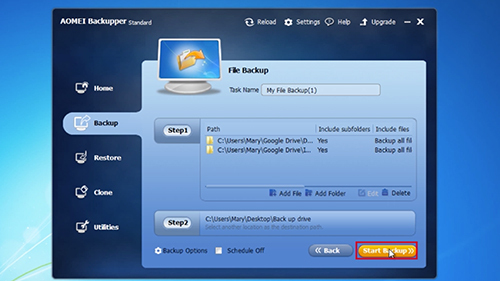 This is a free software you can use to backup your files. Once you’re in this web page click the “Download” button. Next, choose your “AOEMI Backupper” based on your operating system. 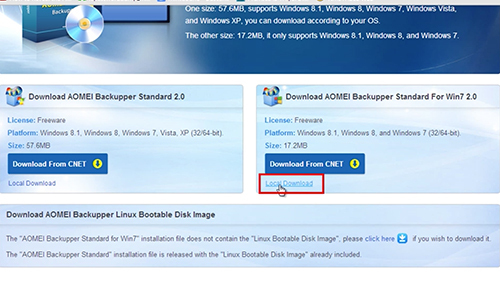 Then press “Local download”, below the “Download from CNET” button, for the installer to download. Run the installer and follow the instructions. Once the installation is complete open the application. 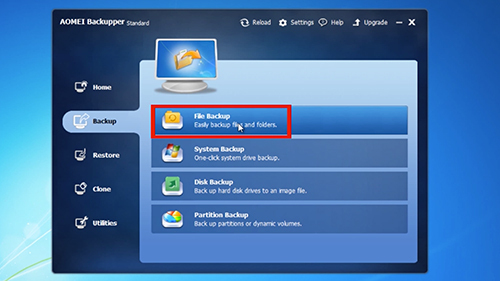 Choose the “Backup” tab from the left menu. Then select “File Backup”. In “Step 1” click on “Add folder” . 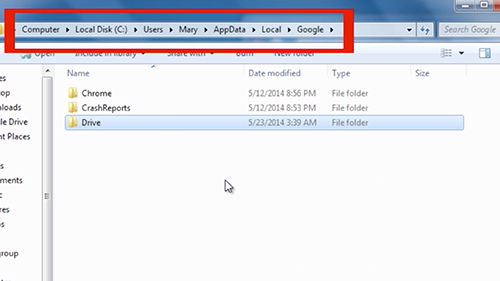 In the new dialog box click on “Browse” and look for your Google Drive folder. Then press the “Ok” button. In “Step 2”, select another location for the destination path. Once you’re finished click on “Start Backup” button. Once done, click “Finish”. 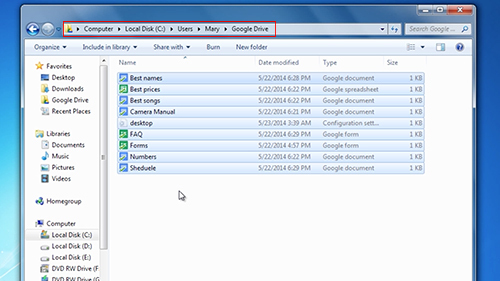 If you need to restore the backed up files to avoid having to download them all again for example, then you can simply move the backup that you have previously created to the original Google Drive location. 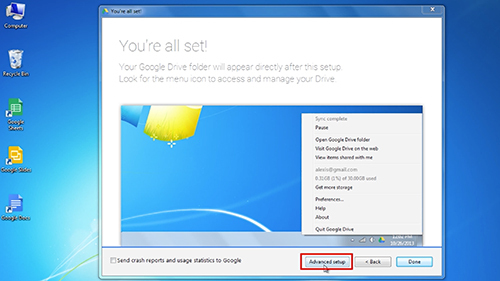 Once done, start to install Google Drive on the system; select “Advanced setup” during installation, and make sure it points to the location of the Google Drive files that you already have on your system. The files should be stored in the original location.